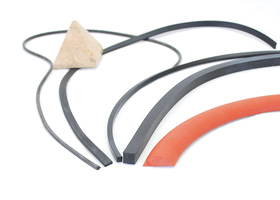 Minor Rubber is a leading manufacturer of custom rubber products for the industrial market. We have earned the reputation for manufacturing innovative products that meet the highest quality standards for OEM rubber products. We serve a variety of markets including: the OEM, replacement part and industrial distribution markets, specializing in electronics, aerospace, healthcare, construction, transportation, and defense applications. 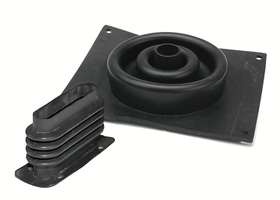 Molded rubber grommets, including insulation, Mil-Spec, vibration isolation, and mounting hole grommets. 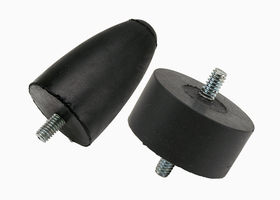 Bumpers, tips, and appliance feet, including grommet style, self-adhesive, recess, tack and pad bumpers, tips, and feet. 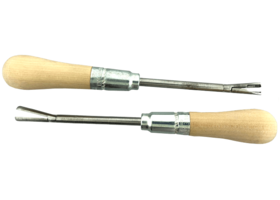 We maintain an extensive inventory of our products in a wide range of sizes, shapes and materials that meet the requirements for most applications. 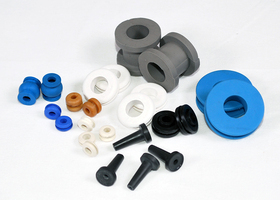 We also offer molding and extruding services to manufacture custom rubber parts for special applications. At Minor Rubber, we have earned our reputation as a high quality rubber product manufacturer. 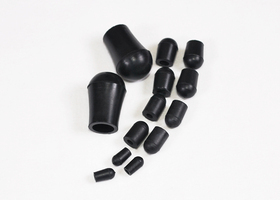 Our attention to detail and commitment to excellence for every project, coupled with our experience and knowledge of the industries we serve, ensure that your molded or extruded rubber product will meet or exceed your expectations. Call today to see how we can be of assistance.